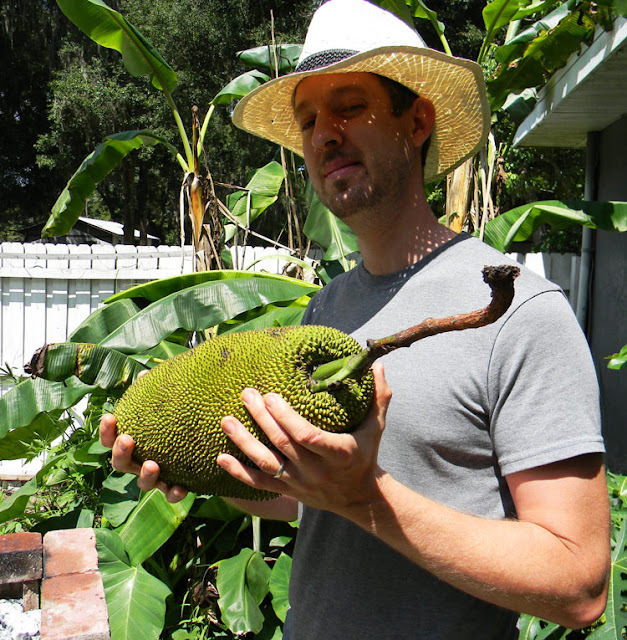 My friend Ray came into town from Ft. Lauderdale... and brought a gift from Chuck, the fellow with the amazing jackfruit tree down in South Florida. Now I just need to wait for it to ripen a bit more and I'll see what they taste like. And - oh yes - I'm gonna plant all the seeds. That photo is so you.